Chefs Collaborative, UCLA, Monterey Bay Aquarium Seafood Watch and the LA Times came together for an epic Food Bowl event promoting sustainability in May 2017. Through lively conversations, stimulating presentations, and a food and cocktail reception hosted by some of LA’s most highly regarded chefs, our immersive program aimed to educate, inspire and empower attendees to go out into the world and improve our food system. Attendees learned the thoughts and concerns of some of LA’s top chefs and food professionals, including Pulitzer Prize-winning food critic Jonathan Gold (LA Times), Mary Sue Milliken (Border Grill), Nyesha Arrington (Chefs For Human Rights Foundation), David LeFevre (MB Post), Christian Page (Cassell’s Hamburgers, Hotel Normandie), Neal Fraser (Redbird), Sheila Bowman & Matthew Beaudin (Monterey Bay Aquarium), Ray Garcia (Broken Spanish), Michael Hung (Mama Lion), and Sammy Monsour (Preux & Proper). 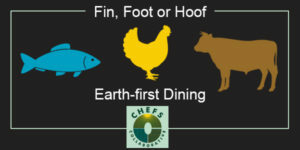 Chef Mary Sue Milliken (Chef/Co-Owner, Border Grill), Courtney Crenshaw (California Coordinator, Healthcare Without Harm) and Dr. Dana Hunnes (Senior Dietitian, UCLA Medical Center) discuss antibiotics in animal proteins and offer best purchasing practices. Christian Page (Cassell’s Hamburgers, Hotel Normandie), Sallie Calhoun (owner Paicines Ranch), Dr. Ermias Kebreab (UC Davis) and Dr. Roberto Sainz (UC Davis) discuss the benefits of grass-fed, grass-finished beef and the potential of holistic ranching in California. Sustainable Management of Restaurant Staff David LeFevre (MB Post, Fishing With Dynamite, Arthur J) and Neal Fraser (Redbird) join Dan Nathanson (UCLA Anderson School of Business) for a conversation about today’s critical restaurant business challenge: sustaining a happy, healthy, safe and equitably compensated staff. Sheila Bowman (Manager of Culinary & Strategic Initiatives, Monterey Bay Aquarium Seafood Watch), Matthew Beaudin (Chef, Monterey Bay Aquarium Seafood Watch), Dr. Chris Costello (Environmental and Resource Economics, UCSB) and Eric Hodge (Dayboat Captain, Santa Barbara Fisherman) discuss how changing our seafood consumption habits promotes the health of our oceans. Pulitzer Prize-winning food critic Jonathan Gold (LA Times) joins his brother Mark Gold (Associate Vice Chancellor of Environment and Sustainability, UCLA) to talk about his personal shift from absolute omnivore to a more curated seafood diet. Event featuring craft cocktails from Ketel One and sustainable hors d’oeuvres sponsored by Rocker Brothers Meat and Provisions and hosted by chefs Andrew Sutton (Walt Disney Parks and Resorts U.S), Nyesha Arrington (Chefs for Human Rights Foundation), David LeFevre (MB Post, Fishing With Dynamite, Arthur J), Neal Fraser (Redbird at Vibiana), Ray Garcia (Broken Spanish), Christian Page (Cassell’s Hamburgers, Hotel Normandie), Michael Hung (Mama Lion), Sammy Monsour (Preux & Proper).